Like the introduction of the Wasp here in this movie, this film got wings. It flew high in our books as great acting and story telling abound in this sequel to the Marvel franchise the Antman. This review is full of spoilers so if you haven't watched the movie, stop reading. Paul Rudd's character Scott Lang starts here in house arrest for aiding Captain America in Civil War. Along with Lang, Hope Van Dyne and Dr. Hank Peym they were also implicated with his actions. But instead of being incarcerated, the latter chose to be in hiding. They were obsessed in bringing back Janet Van Dyne, Hope's mother and Hank's wife. 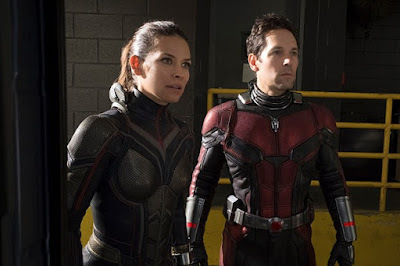 After the Antman went into the quantum realm in the first movie, they realized that they have a chance at getting back Janet. If incarcerated, they knew they won't be able to do the necessary research to do so. So all during the film, they are both in hiding. A twist in the plot had Hope and Hank need Scott's help in gathering the last piece of the tecnology to finish the machine able to go to the quantum realm safely. They had to get Scott out (risking his house arrest) of his house and bring him back without the authorities knowing. This cat and mouse game is another part of story that made this story entertaining and funny. Another angle here is the still steaming love story between Hank and Janet, and that of Scott and Hope. Now the quantum realm has drawn other characters into the plot, like Ava aka the Ghost, who's body goes in and out of the quantum realm with Dr. Bill Foster (Laurence Fishburne) helping they plan to steal the machine to stabilize Ava's condition. She of some sort is the villain (or she?) in the whole film. 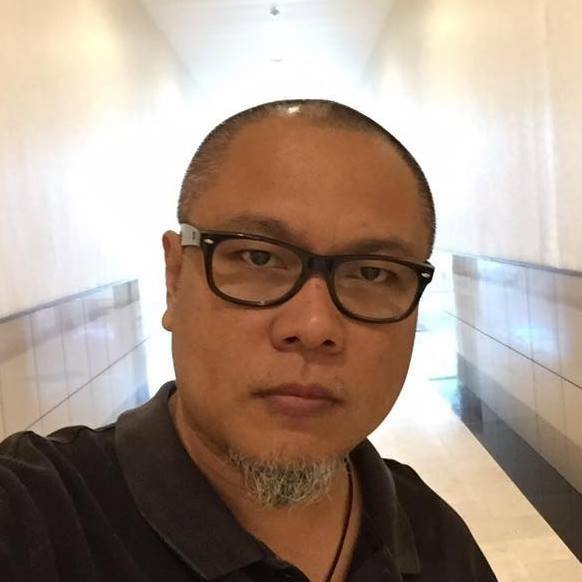 There a lot of things new introduced here specially in story telling that made this movie fresh for us. Like how they shrunk the whole building, equipment and all stuff therein to be able to move around and hide from the cops. 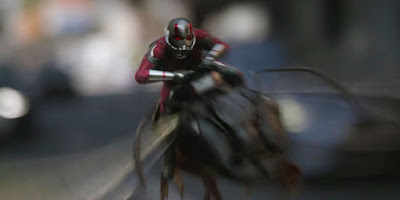 How they were able to change cars and of how Antman can now grow big in size. All these new concepts were enough to entertain us along with one liners and witty dialogues made this film a must film. Now they also have the tag line - where was the Antman during Infinity War? While watching the film, you will not have a reference to this question. You will continually ask when or where was the infinity war here in the film? You will not have the luxury to know this until you see the ending credits. So better stay till the end of the film to see who they integrated Infinity War herein. At the end of the film, Scott was not caught leaving his house and his house arrest is finally over he was able to join society and see his daughter. He was also able to join the Pym family (with Janet now) in doing some experiments or trips to the quantum realm. In the ending credits, they showed the audience they were able to squeeze the quantum realm machine in a compact size and they were able to send Scott back there to get some quantum energy. Now here's the part when Infinity War was connected. Remember the Thanos' Infinity Snap? Well, it happened in the end credits. While Antman was gathering quantum energy particles, when finished, he was wondering why he isn't brought back to the real world. The reason? The whole Pym family, Hank, Janet and Hope vanished during the snap. Stuck in the quantum realm, the plot now hangs and we shall await the next one. Will his situation be important in the Avenger's fourth film? 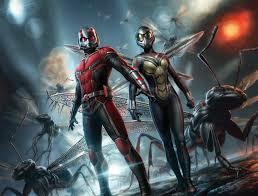 or will it be continued in the next Antman film? These questions lingered when we saw this. When we saw the family vanished, I could only say Shi*. Only then I realized it was the crossover to the Infinity War plot. A great film, you better watch it. I'd like to watch this over and over if given the chance.